The Great Reed Warbler is a songbird which has become quite rare in western Europe. 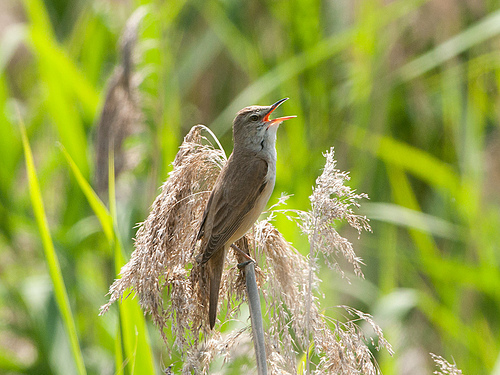 Fortunately, it loves to sing high up in the reeds. With its brown and white colours it would otherwise be almost invisible. 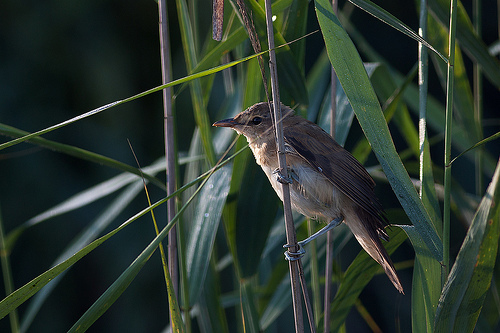 The Great Reed Warbler is larger. He sings louder en with more power.